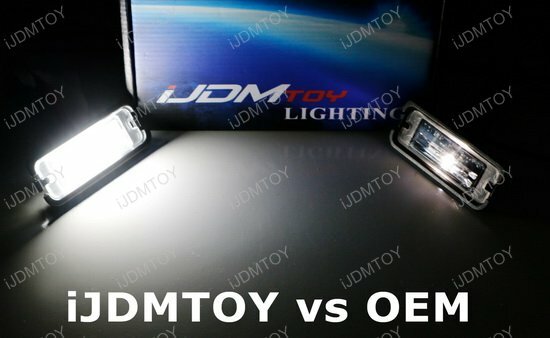 Q: How do I install these LED license plate lamps? 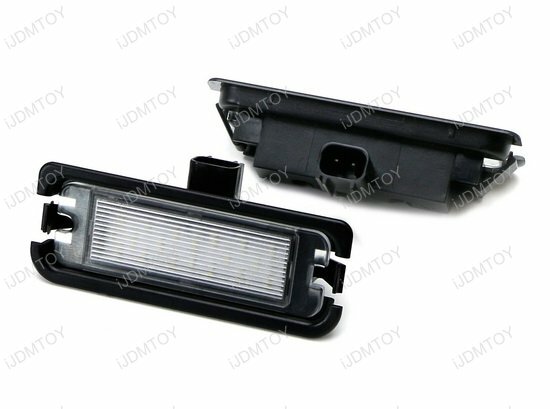 A: Simply unscrew the stock license plate lamps, unplug the stock bulbs and replace with these direct fit LED license plate lights. 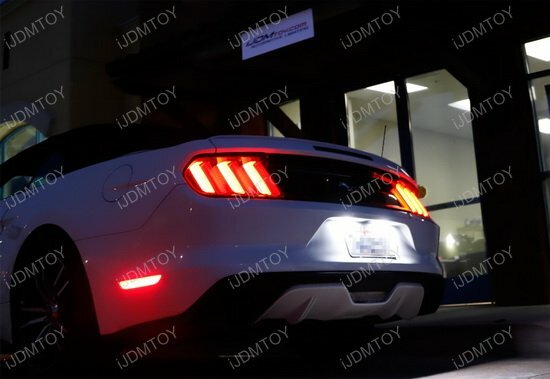 The Ford Mustang arguably has the most attractive tail end today. 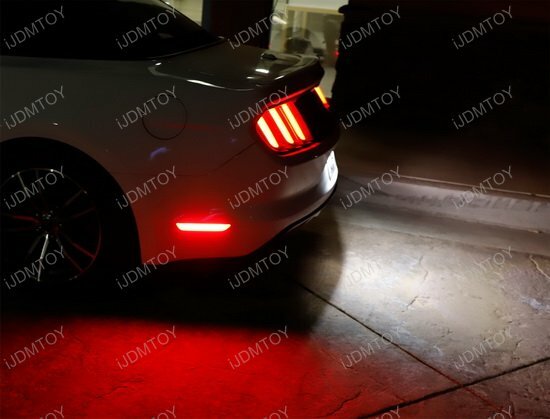 With a continuously fluid tail light system and sequential lighting, the Ford Mustang has never looked so cool as it drives into the future of car design. 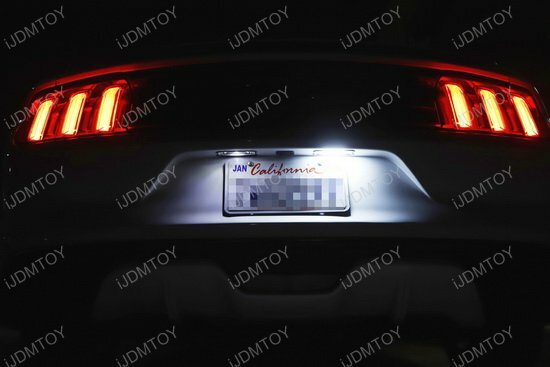 Such a back-end deserves to complete its boldness in its license plate light as well. 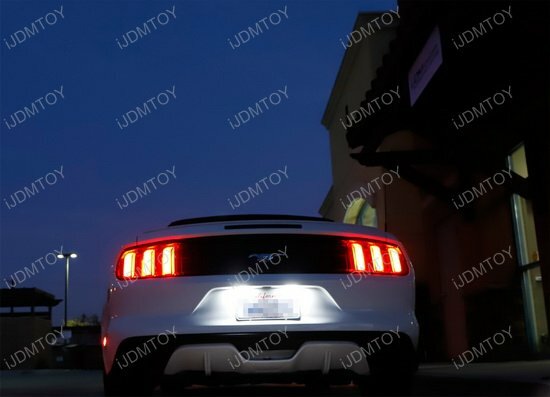 Enter the 18-SMD xenon white LED license plate lights! 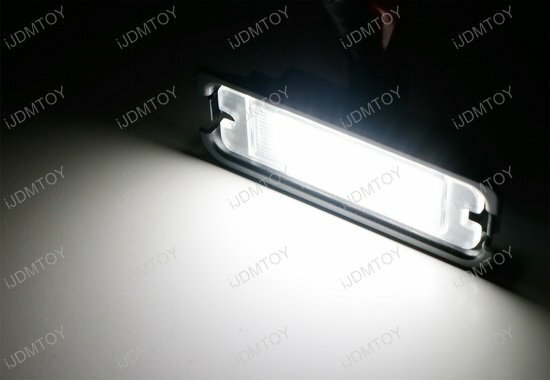 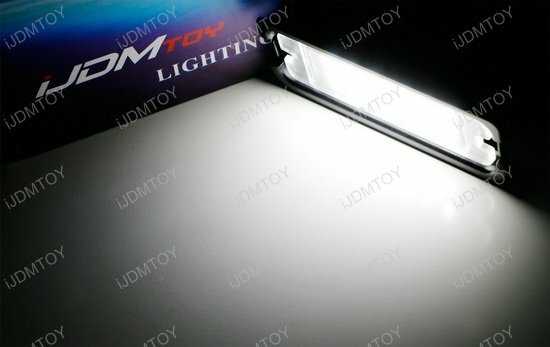 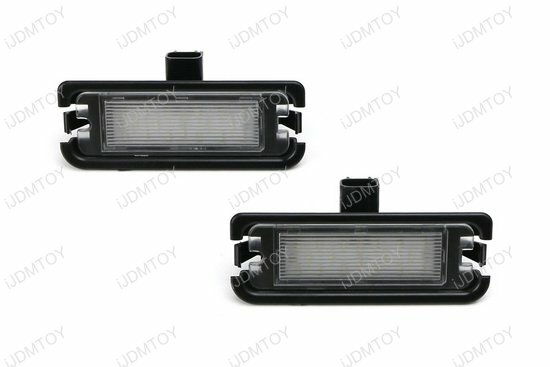 This is a pair of LED license plate lamps, each powered by an 18-piece 3528-SMD LED chipset to create a super bright lighting output that is 3 times brighter than your OEM license light. 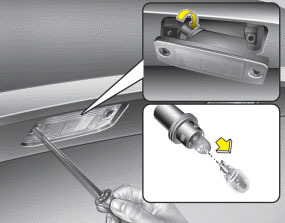 Easily replace your stock license plate lamp (OEM# FR3Z-13550-A) via plug-n-play action. 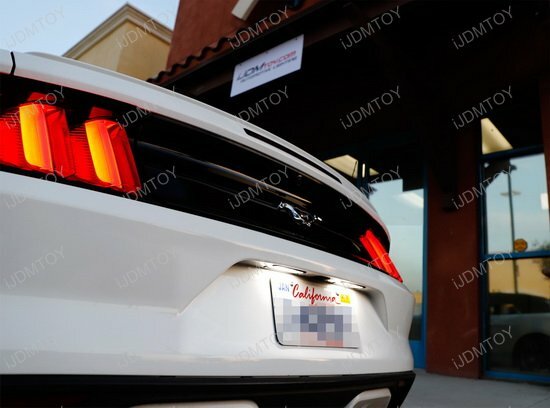 The result is an extremely bright xenon white LED light to fully illuminate your rear license plate! 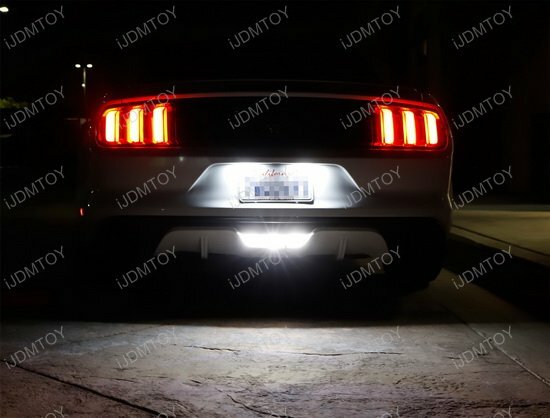 The exact fit 3x brighter 18-SMD xenon white LED license plate lights is made to fit the 2015 and later Ford Mustang.